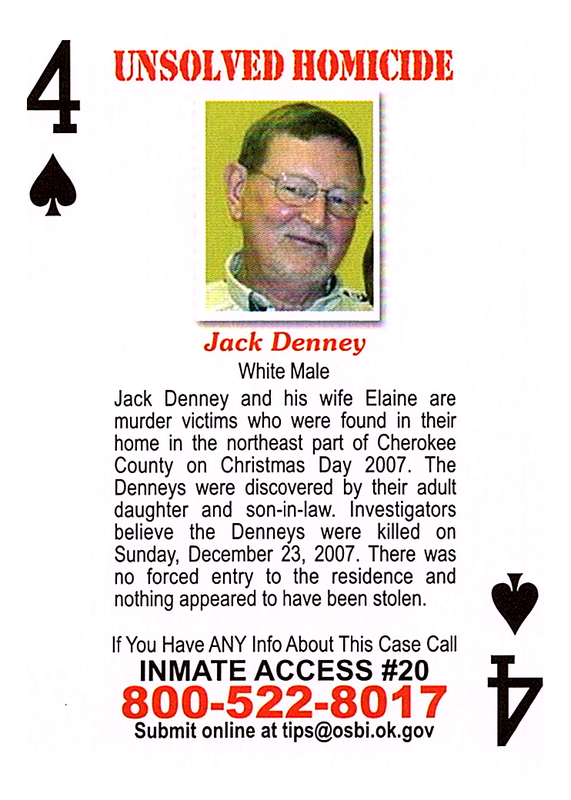 Jack Denney and his wife Elaine are murder victims who were found in their home in the northeast part of Cherokee County on Christmas Day 2007. The Denneys were discovered by their adult daughter and son-in-law. Investigators believe the Denneys were killed on Sunday, December 23, 2007. There was no forced entry to the residence and nothing appeared to have been stolen.